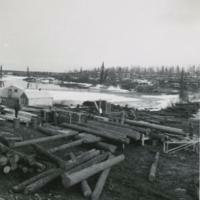 The photo shows a lumber yard with lots of logs and a couple of tent frame buildings. 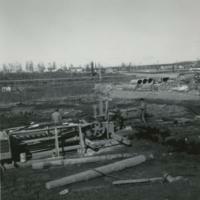 We also have twin lakes in the background with the utilidor as well. 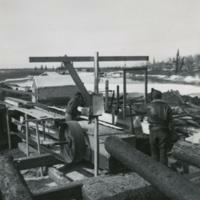 The photo shows two men operating a saw to cut logs into boards. Frank Stefansson is the man pictured in the background. 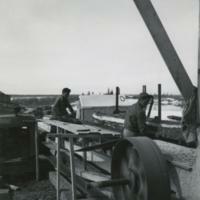 The photo shows two men operating a saw to cut logs into boards from a different angle. 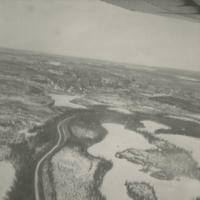 The photo shows aerial shot of the mackenzie river in the winter time. 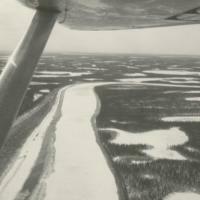 The photo shows another aerial shot of the mackenzie river with ice on it in the winter time. 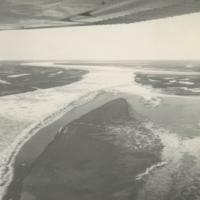 The image shows an aerial photo of the mackenzie river with ice on it and water by the shore. 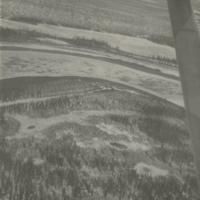 The image shows an aerial photo of a creek in between lakes. 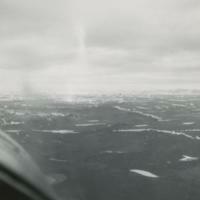 The image shows an aerial photo of a bunch of hills and a few lakes between them. 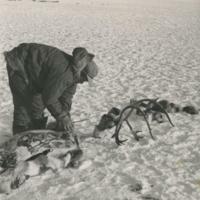 A photo of Joseph Pokiak cutting up a caribou for its meat. 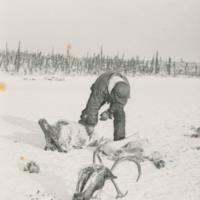 A photo of a man cutting up a caribou carefully. Open slaughter of caribou. 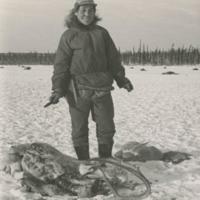 The image shows the remains of a caribou after being cut up at Ren Lake slaughter. 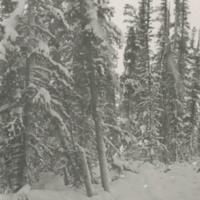 A photo of the Tiaga Forest in the winter time. 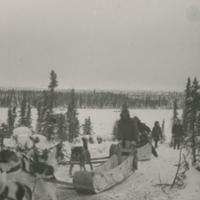 The image shows a couple of dog sled teams going for a run at Ren Lake. 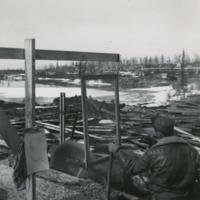 A photo of S.B. 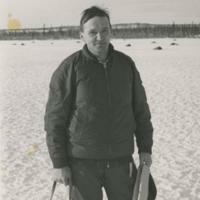 Johansson standing on Ren Lake with a bunch of caribou shot in the background. 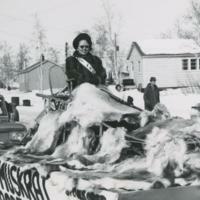 A photo of a parade for the muskrat jumbore in inuvik. 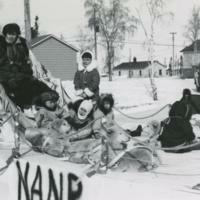 A photo of a dog sled float for the parade. 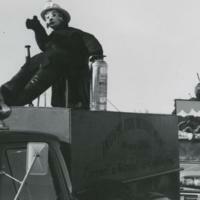 The photo shows a fire truck that is part of the parade with sparky the fire dog on top waving. 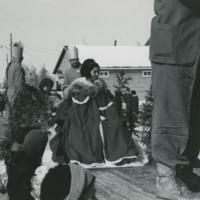 A photo of Clara Phillips sitting in a sled with fur all around on a float for the parade.